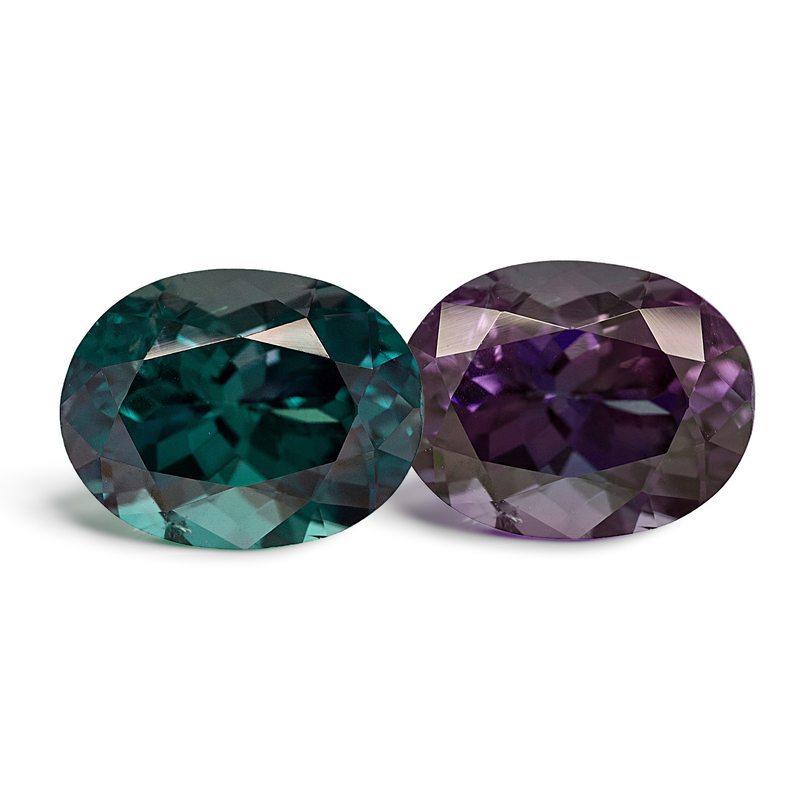 Alexandrite's spectrum varies by direction, showing a different spectrum in the green direction than in the purple-red pleochroic direction. Green, blue-green to pale green, yellowish, brownish, grayish in daylight or fluorescent light and violet, purplish to red, orangy or brownish in incandescent light. Alexandrite is a type II clarity stone. The stone may contain fluorite, apatite, mica platlets, rutile and multi-phase inclusions along with negative crystals, fingerprints, liquid inclusions, needles and hollow tubes. Alexandrite's might show twinning.